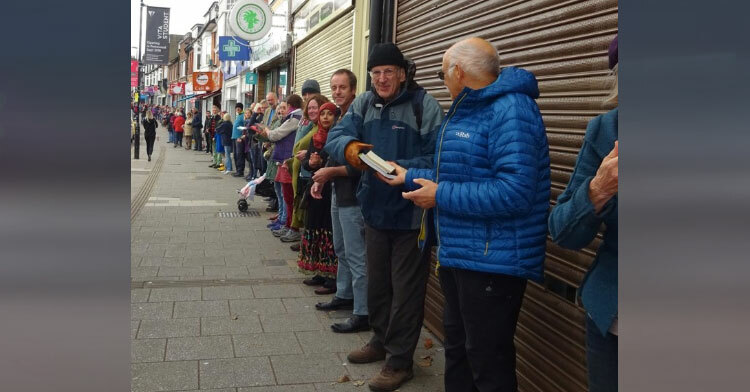 250 People Form Giant Human Chain Outside Beloved Bookstore For Sweetest Reason. 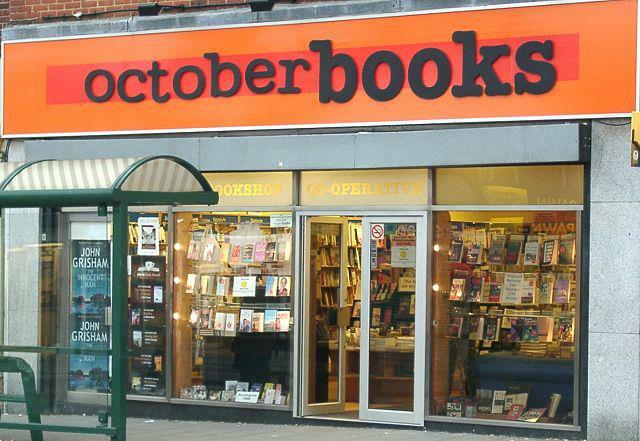 The people who run October Books, a nonprofit cooperative bookstore in Southhampton, England, found themselves in a bit of a bind recently. Thankfully, their community was not about to let them down. When a rent increase forced the bookstore to relocate to a new space just a few yards down the street, the volunteers and staff at October Books had no idea how in the world they’d be able to move all of their inventory the short distance. Even though it was only about 500 feet, moving over 2,000 books one by one is no easy feat. When the store first heard about the rent increase they had started a crowdfunding campaign to raise money for the new space. With only donations from their community, they were able to raise $640,000 to move the shop down the street. Then the storekeepers prepared to ask the good people of Southhampton for one more favor. They asked, and their neighbors answered. The following Sunday, about 250 volunteers showed up at the bookstore, ready and willing to move several tons of books. 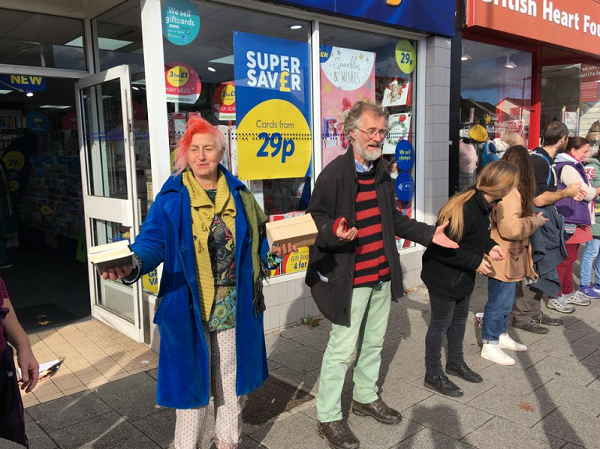 Proving that many hands make light work, the volunteers formed a human chain from the old store to the new one. 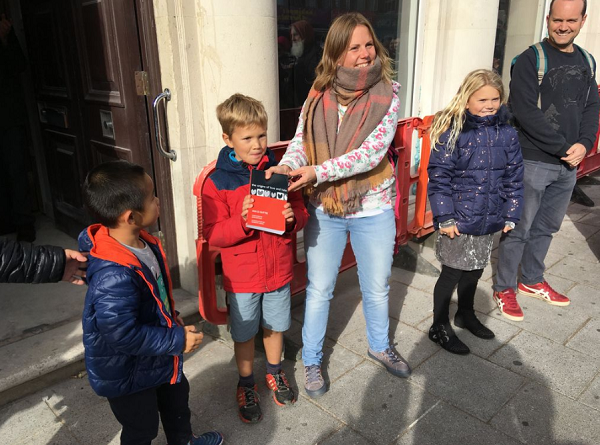 One book at a time, 2,000 books passed from hand to hand until they had all arrived in their new home. Shop volunteer Clare Diaper said that the sight of all of these friends and neighbors working together was the perfect demonstration of what it means to be a part of a community. I get quite emotional thinking about the amazing people who have come out to support us so far. There were local cafe owners, people from the local shops, families and general passers-by, including those who were standing at the bus stop. The store still has about 18,000 books left to move before they open at their new location, and they’re continuing to ask community members to step up and lend a hand. 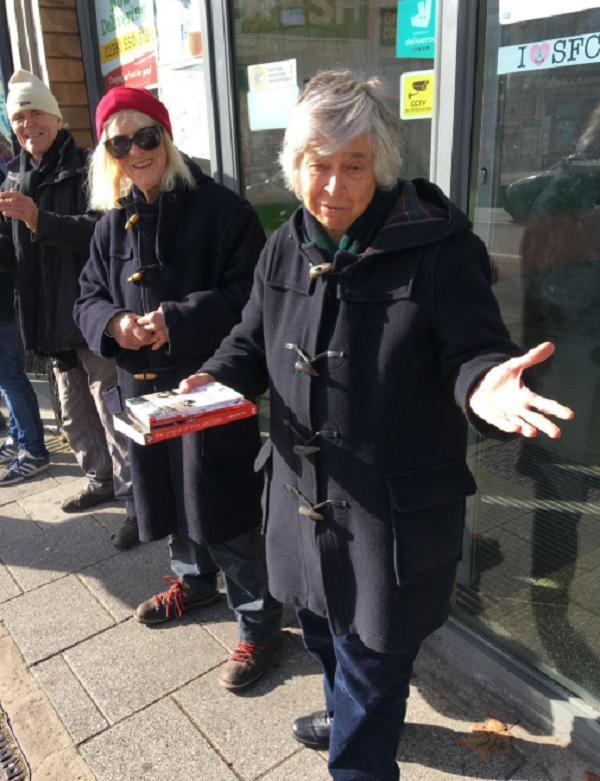 Since October Books has served the public for over 40 years, something tells us they won’t have any trouble getting more volunteers to shoulder some of the burden. “We are of, and for, our community and it is truly heartening to see that reciprocated,” Clare said. The new location for October Books is even more fitting — the old bank building will also have 3 community rooms that can be rented for local organizations. On the first floor, the Society of St. James provides long-term living for the homeless population. Moving books may seem like a small gesture, but it’s a wonderful example of the kind of goodness that is accomplished when people work together. There’s truly nothing we can’t do if we unify! Please share this story if you agree.